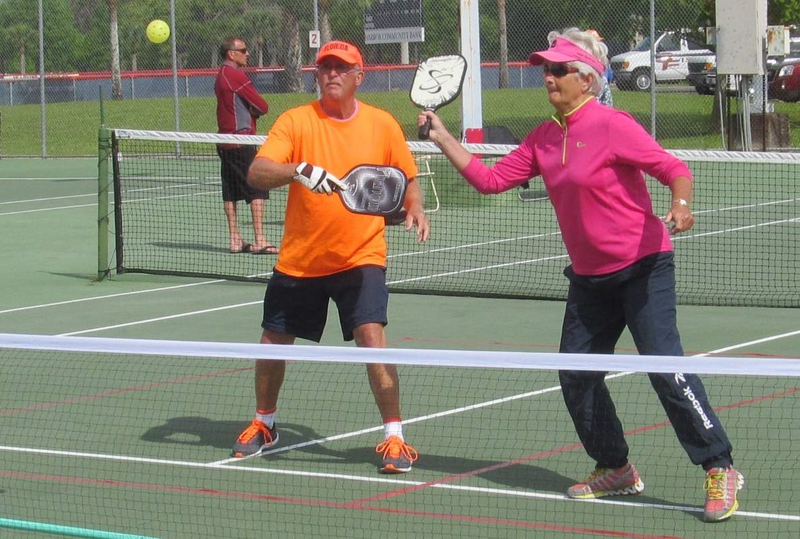 On Saturday, play was delayed in the Heartland Games for Active Adults pickleball tournament to allow the courts to dry. When players took to the South Florida State College courts in mixed doubles’ competition, they faced extremely strong winds which played havoc with the light whiffle-type balls. In the 55 to 59 age group, Linda and Dave Shaner of Highlands Ridge captured the gold while Tanglewood’s Tracy Smith and Aart DeVos won silver. Tanglewood’s Tracy Vernest and Grant McLaughlin finished in top spot in the 60 to 64 category, with Judy Granger and Dave Linderman, playing out of Sun ‘n Lake, taking second.